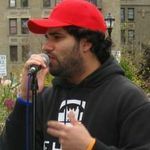 Christian (Ateo) Peruyero is a construction worker and former CUNY student organizer for 8 years and founder/creator of the Revolutionary Student Coordinating Committee, a Maoist group active in the CUNY system and at colleges in New Jersey and Philadelphia. A member of the Maoist wing of Freedom Road Socialist Organization, Peruyero set up the Revolutionary Student Coordinating Committee in 2011 and has succeeded in bringing several hundred students into the Maoist movement. He is also working with the Kansas City, Missouri based Progressive Youth Organizationand the Los Angeles based Red Guards in the Liaison Committee for a New Communist Party – an attempt to unite radical youth into a new, nationwide Maoist revolutionary political party. The real one percent, as opposed to the fake one percent touted by Bernie Sanders (I-VT), raised its ugly head in Georgia on Monday, when “conservative” Republican Governor Nathan Deal collapsed under pressure. He vetoed a bill respecting the freedom and rights of Christians and other religious believers who oppose the gay-rights agenda. Big media, Hollywood and other big businesses threatened to pull their operations out of the state if Deal signed the common-sense piece of legislation that reaffirmed First Amendment rights of freedom-of-religion expression. The legislation would have ensured that pastors could not be forced to perform homosexual marriages. The media blackmailing the cowardly governor included Viacom, 21st Century Fox, Lionsgate, CBS, Starz, AMC Networks, Netflix, Time Warner, CBS, The Weinstein Company, Sony, Comcast NBCUniversal, MGM, STX Entertainment and Open Road Films. It turns out the “corporate media,” which are usually demonized as conservative right-wing businesses, are in the back pockets of the homosexual lobby. Hillary Clinton’s email scandal keeps on growing, with new revelations that offer more justification for an indictment. Yet the mainstream media have long maintained that Mrs. Clinton is not the target of the two ongoing FBI investigations, and they seem very uninterested in the latest evidence to be revealed. However, a grand jury may be forthcoming. “My sources tell me that the Justice Department is close to empaneling a grand jury and deciding whether to grant statutory immunity to Huma Abedin, Hillary’s closest adviser,” writes Ed Klein for NewsMax. Klein is a former foreign editor of Newsweek, and was editor-in-chief of The New York Times Magazine from 1977 to 1987. “That things have gotten this far in the investigation indicates that FBI director James Comey is moving inexorably toward recommending to Attorney General Loretta Lynch that Hillary be indicted,” added Klein. While President Obama may be content to pre-judge the FBI investigations as unlikely to find anything criminal in Democrat presidential candidate Clinton’s behavior, more and more evidence has appeared showing that Mrs. Clinton is a deceitful liar replete with conflicts of interests and even pay-for-play as secretary of state. A student who studied economics at the prestigious University of Virginia has been sentenced to 15 years in the North Korean gulag for stealing a banner praising the patriotic socialism of the late communist dictator Kim Jong Il. Otto Warmbier was on a trip to the communist workers’ paradise sponsored by Young Pioneer Tours, and apparently wanted a souvenir or memento. It’s not clear if he was a Bernie Sanders-style socialist or a member of the campus Democratic club. In any case, he didn’t realize the power of the state. Perhaps he is a victim of academia or Sanders’ notion of socialism. Washington Post columnist Christine Emba, in an article on our “socialist youth,” writes about how socialism seems to have become “the political orientation du jour among voters of a certain (read: young) age.” Emba says socialism has ceased to be a dirty word, and there’s nothing wrong with young people turning out in support of the “democratic socialist” Sanders.